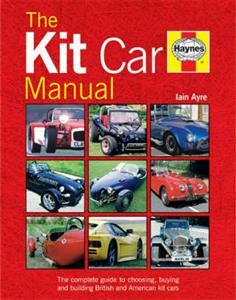 The kit car building industry has increased in size significantly in both the UK and the US. A rising number of enthusiasts are attracted by the prospect of driving a tailor-made car that they have built themselves. The vast range of designs available ensures that there is a vehicle to suit all tastes, from replica classic sports cars to specialist track-day machines. This text, written in a humorous, down-to-earth style, provides all the information needed to choose a suitable kit and complete it successfully to produce a safe, roadworthy vehicle.